Each year the International Meteor Organization organizes a four-day conference where about 100 meteor enthusiasts from around the world attend lectures and share their experience. 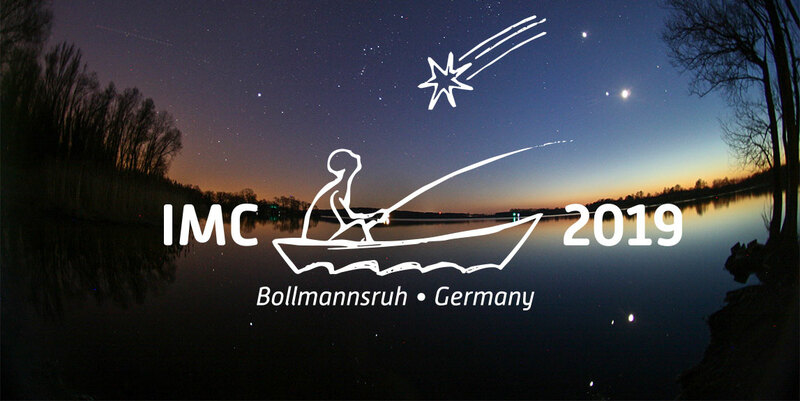 Since the founding of the International Meteor Organization, the International Meteor Conferences (IMCs) have guaranteed the vital personal contacts between its members. The IMC lecture and poster program features both beginning amateurs as well as top meteor experts. Each IMC also offers an excursion, a conference welcome package, full board and electronic conference proceedings. The complete IMC format is offered at a very low price all-in which is rather unique for such a conference. Another aspect of these events, the legendary IMC spirit, cannot be captured in words, it can only be fully experienced live. The scientific resources and socializing at an IMC are so extremely rich that no meteor enthusiasts can resist to attend each IMC whenever he or she can. An IMC T-shirt and a paper copy of the conference proceedings are optional. Previous conference websites: Slovenia 2001, Poland 2002, Germany 2003, Bulgaria 2004, Belgium 2005, The Netherlands 2006, France 2007, Slovakia 2008, Croatia 2009, Northern Ireland 2010, Romania 2011, Spain 2012, Poland 2013, France 2014, Austria 2015, The Netherlands 2016, Serbia 2017Serbia 2017, Pezinok-Modra, Slovakia. The IMO Council welcomes proposals for organizing future editions of the conference. Instructions on creating a proposal can be found in the article Call for Future IMCs (PDF – scroll down to bottom). A template example of a proposal which was previously accepted is “Proposal for holding the 2010 IMC” (PDF).